The expenses of remodeling your home can add up quickly. 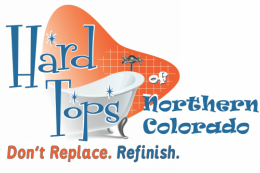 Hard Tops can give you a brand new look without having to replace outdated bathroom and kitchen fixtures. In just a few hours you can have new sparkle in your kitchen or bathroom.